Volunteer Position: Minor Repair Technician – Interlink, Inc.
Purpose: We are looking for individuals to provide minor home repairs for our clients. Interlink needs your help to provide elders and people with disabilities with some minor home repair and safety modifications in their homes (such as installing grab bars or replacing faucets). Minor repairs consist of restoring to safe condition a part or parts of an existing home for safe mobility and independence. Your help will provide safe and livable conditions for our clients who may not otherwise be able to afford these needed services. Key Responsibilities: Home minor repairs include installing or restoring materials, elements, and fixtures, for safe mobility and independence in the home. See Scope of Work for more details. Volunteers choose when and what repair and safety projects they work on. All repair and safety projects are coordinated through the Interlink office. Email or call in volunteer hours monthly. All materials are purchased by Interlink. Volunteers are matched-up with clients by availability. Volunteers have the right to refuse any repair or safety modification after they arrive at the assigned location if they feel unsafe or unsure. Inform the office 24 hours in advance if you cannot complete a task that is already scheduled. Understand and support Interlink Volunteer’s mission and programs. Have access to a vehicle that will transport you to clients’ home. Have a valid driver’s license, liability insurance, and safe driving record. Understand the limitations experienced by some elders, such as mobility and hearing/vision loss. Be patient and courteous under all types of circumstances, and maintain a warm, helpful and friendly attitude. Be reliable and work independently. Provide driver’s license and proof of insurance. Willingness to help others in their community, especially elders and people with disabilities. The Interlink Minor Repair & Safety Modification Coordinator and staff will always be available for questions and assistance. 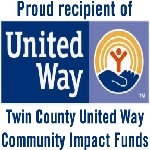 Affiliation with a local nonprofit organization with over 30 years’ service to our community. A sense of pride and accomplishment helping seniors maintain their independence. The satisfaction of working with persons in need and giving back to your community. Auto and medical coverage over and above the policy amount carried by the volunteer. Minor repairs consist of restoring to safe condition a part or parts of an existing home for safe mobility and independence. Minor Repairs include patching or restoration of damaged materials, elements, and fixtures, for safe mobility and independence in the home. *Interlink volunteers will have final decision if they determine the request is safe and within the scope of work for the volunteer. All minor repairs for homes not owned by the occupant must have email approval from the landlords for repair, prior to the actual repair. Interlink WILL NOT provide the following repairs: All the repairs below, with the exception of yard/gutter work, require a permit in the City of Lewiston and a licensed contractor to coordinate the work. Interested? Call 509.751.9143 for more information.